Organizations are facing a dangerous combination of mounting cybersecurity threats and a widening gap in the skills required to identify and combat them. There is continuing pressure to keep our information secure and breach-free, and to create leadership roles in the organization to address this risk. Creating Chief Information Security Officer positions has continued to be on the uptick over the last five years. However, according to a Ponemon study senior security executives on average leave after 30 months on the job – some studies show the turnover is closer to 18 months! For small- to mid-sized businesses, it may be difficult to justify the expense of a full-time CISO. The normal annual contract rate for virtual CISOs is 35-40% of what it costs to pay the normal industry salary for a full-time position to perform the same services. Outside of cost of a CISO, what are the other factors needed to decide? According to a study released by University of Kansas researchers, communication, political skills, and risk assessment and management all made the top 10 most important skills CISO said they needed. 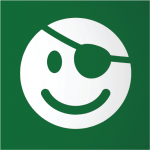 How do you find the right fit when you lack the internal experience to properly evaluate a candidate? What’s the best career path? Since being a Chief Information Security Officer is a C-level management position, it takes years to work up to and often traverses through a number of different career paths. How should you position yourself to become a vCISO or CISO? What are the pros and cons of being in each role? Future Trends: Will the industry move to a fully outsourced Security as a Service? One thing is certain: if someone can do it better and cheaper, it’s just a matter of time until it happens. Will this take place in security or is it too fundamental to an organization’s risk management strategy? 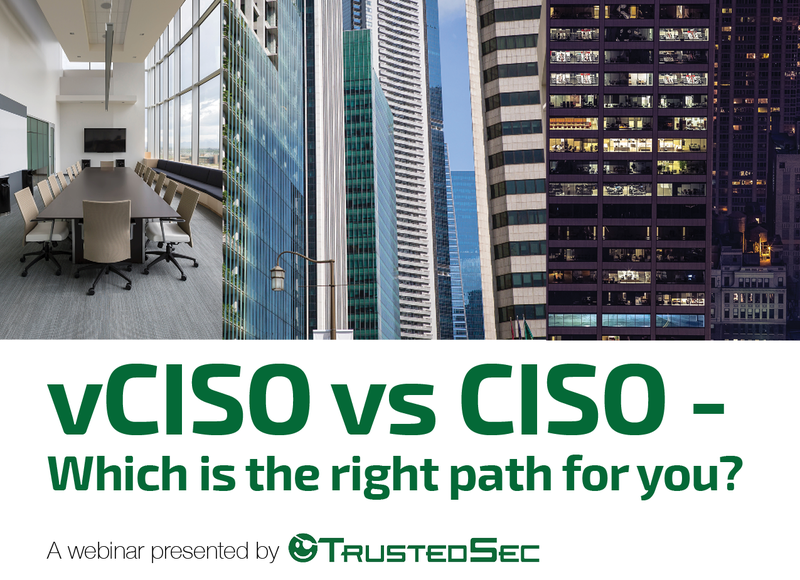 Learn from two security leaders as TrustedSec brings you Chris Prewitt, the current CISO of Amtrust, and Rockie Brockway, the Office of the CSO Practice Lead for TrustedSec.